Efficient distribution of company procedures regarding tankcleaning and cargo handling. 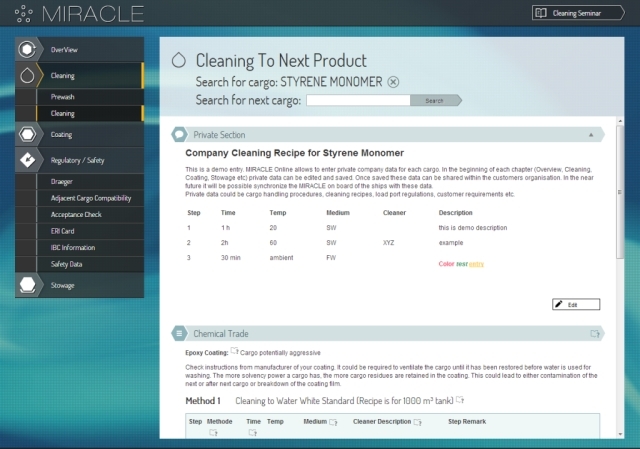 MIRACLE Online allows to enter private company data for each cargo. In the beginning of each chapter (Overview, Cleaning, Coating, Stowage etc) private data can be edited and saved. Once saved these data can be shared within the customers organisation. 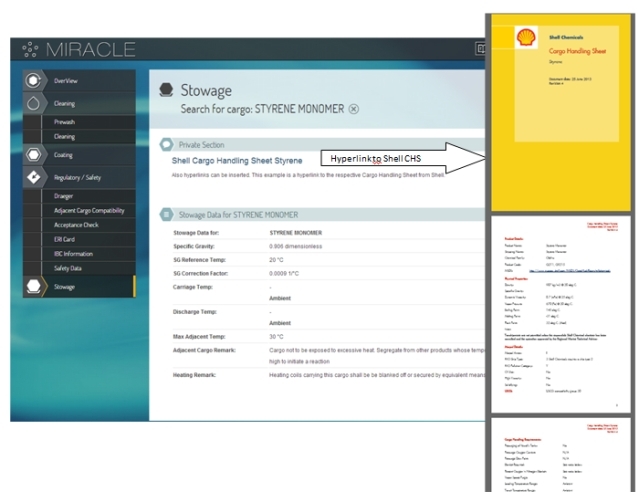 In the near future it will be possible synchronize the MIRACLE on board of the ships with these data. Private data could be cargo handling procedures, cleaning recipes, load port regulations, customer requirements etc.